Located on Long Beach Rd between Lincoln Ave and Merrick Rd, Extra Space Storage serves residents of Oceanside, Rockville Centre, East Rockaway, Bay Park, Lynbrook, Baldwin, and more. Locals will recognize our facility across from Best Buy Used Tire and RVC Tap Room south of The Pretzel Stop. Extra Space Storage in Oceanside is about 2.9 miles from Molloy College, providing convenient self storage options for college students over the summer or while they're studying abroad. With a variety of storage units, climate-controlled storage, and exceptional security, Extra Space Storage on Long Beach Rd can easily handle residential and commercial storage needs in Oceanside! Our Long Beach Rd storage facility has units as small as 4x4 and as large as 12x45 with indoor access, first-floor access, and elevator access. We have the storage space that will work for your unique situation! At Extra Space Storage, we're committed to the safety of your stored items. That's why our Oceanside storage facility has security features like 24-hour video surveillance, individually-alarmed units, and electronic gate access. Protect temperature-sensitive items from extreme heat and cold in Oceanside year-round with climate control. These special storage units maintain an environment between 55 and 80 degrees at all times. 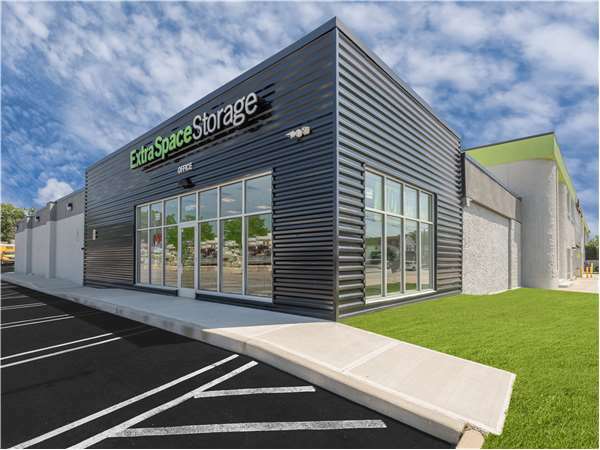 With a well-maintained, secure facility and a friendly, professional team, it's easy to see why customers trust Extra Space Storage! We truly care about your satisfaction, which is why we strive to deliver dependable self storage solutions and excellent customer service. Contact us today to reserve a storage unit in Oceanside! Drive south on Long Beach Rd. Pass Sunrise Hwy and continue south. Our facility will be on your left after Seitz Ave.
Drive north on Long Beach Rd. Pass Lincoln Ave and continue south. Our facility will be on your right after Hawthorne Ave.
Drive west on Foxhurst Rd. Turn right onto Long Beach Rd. Our facility will be on your right after Hawthorne Ave.
Drive southeast on Lincoln Ave. Turn left onto Long Beach Rd. Our facility will be on your right after Hawthorne Ave.